When you need an excellent Washington pipe bursting specialist, you need Vietzke Trenchless. Call us today at 509-244-9607 for a free estimate. We have already provided superior service to some of your friends and neighbors. You can read some of their testimonials on our reviews page by clicking here. With years of use, the underground pipes that deliver water to your home and dispose of wastewater begin to degrade and deteriorate. The sewer or water line can develop cracks that can lead to weakening or collapse. There was a time when replacing underground pipes meant digging them up, making a mess of your landscaping. Lawns would get torn up, paved driveways would be damaged and porches would have to be removed. Fortunately, today, there’s pipe bursting; a method for replacing underground pipes that does not require digging a trench. In very basic terms, picture a torpedo traveling through the old pipe, shattering it as it goes and pushing its walls outward, making room for the replacement pipe being pulled behind it. In pipe bursting, two small pits are dug at either end of the length of pipe that needs to be replaced. At one end, a winch pulls a cable connected to an expander head through the old pipe. As the head travels through the pipe, it is broken apart and the pieces are pushed aside. The replacement pipe follows the expander head for reconnection. Pipe bursting is a proven replacement method that is far safer and less disruptive than traditional means of replacement. There are also fewer risks of damaging any other nearby underground utilities. The replacement pipe is a single solid piece with no coupling joints. 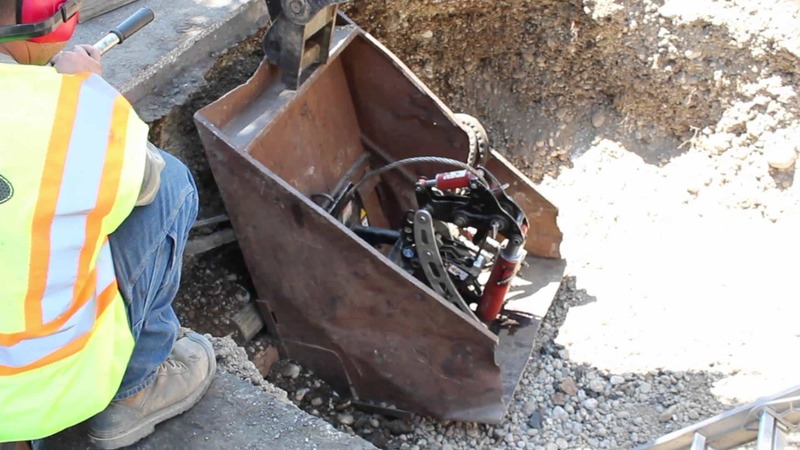 Vietzke Trenchless has been providing underground piping and utility repair and installation services for over 60 years. We’re a local, family-owned business with an A+ rating with the Better Business Bureau (Their highest rating!) Our crews are experts in the use of cutting- edge trenchless technologies like pipe bursting for sewer and water line replacement and repairs. When we’re done, you will have decades of worry free use from your new sewer line, all the while protecting the integrity of your property. We are pleased to offer free no obligation estimates for any repair or replacement job.